When trying out lush products I pretty much love the majority of them, but every now and then I find a product that I just can’t get enough of and totally adore. 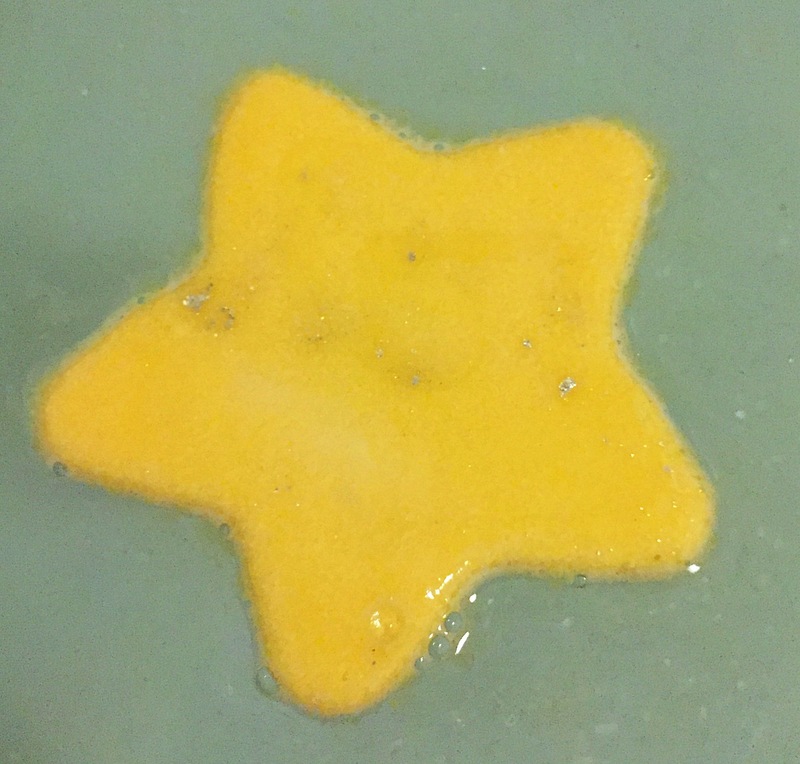 The Star Light Star Bright bath melt is one of these such products. I first tried this bath melt when it was originally released as part of the Christmas 2013 range. It was then rerelease as part of the 2014 Christmas range as well, however I very stupidly presumed that it was also re make its appearance in 2015 and was devastated to find it didn’t. This taught me the importance on stocking up on products you love as there is always a chance they might disappear. Luckily I managed to source a few of these lovely bath melts from lush groups and they also made an appearance on the lush kitchen, so I’m pleased I now have a few of these melts in my possession. 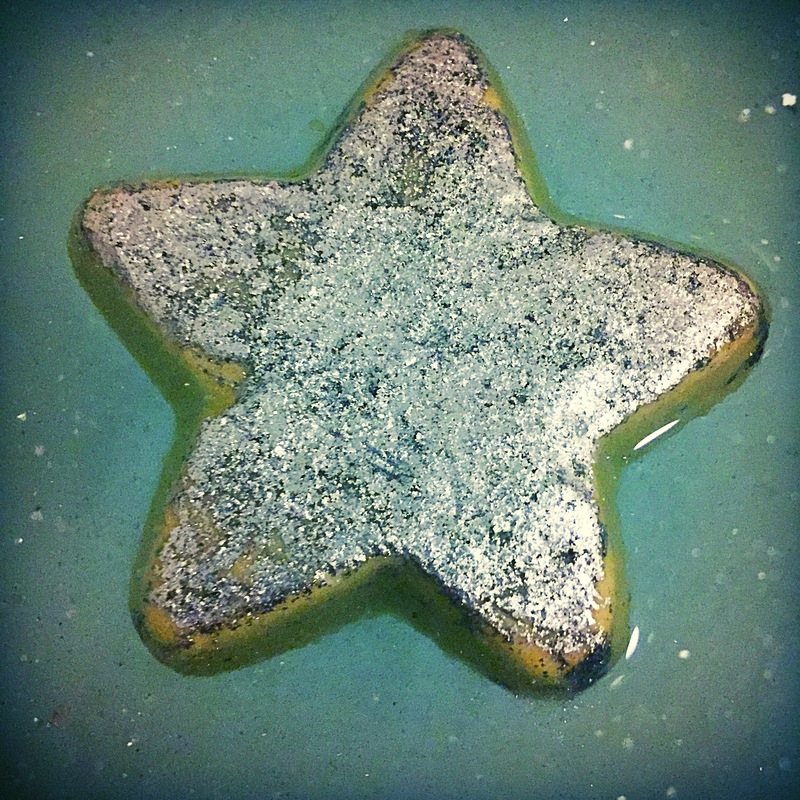 The Star Light Star Bright bath melt is a very Christmassy looking product. 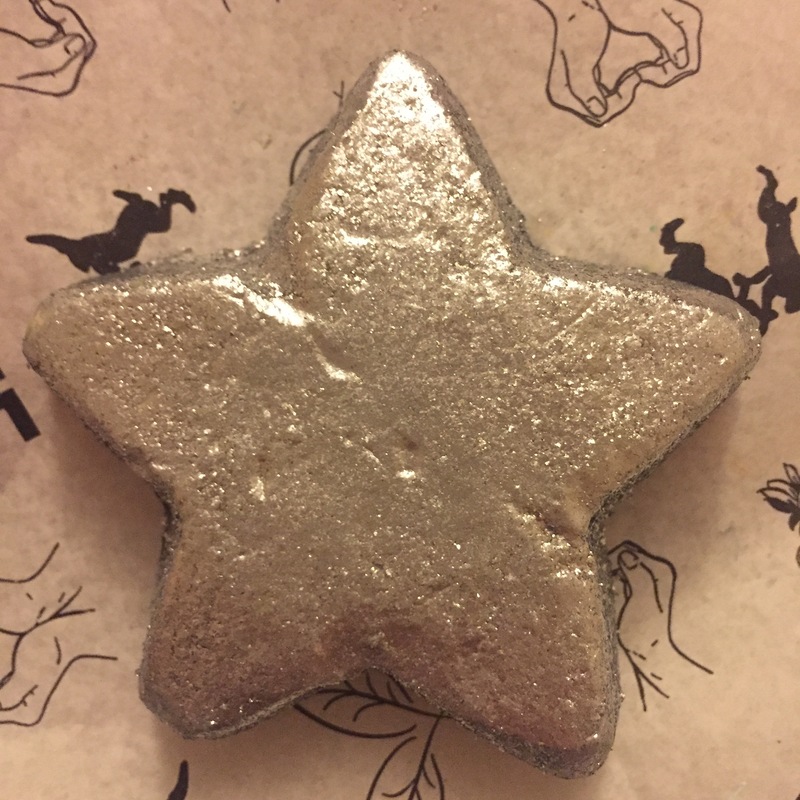 Shaped like a little star this bath melt is completely covered in silver glitter making the product extremely eye catching. Some may be put off this product due to the sheer amount of glitter it has, but I did find that the bath melt wasn’t as quite an messy experience as I was expecting. Containing Chinese ginger oil, lavender Oil and Persian Lime Oil this bath melt has quite a warming yet uplifting scent. To say I am really not of fan of either ginger or lavender I was super surprised to find just how much I love this scent. I found that the lime in this bath melt is the strongest, giving the product a very citrus scent with the ginger adding a touch of warmth. I found the scent to be very strong yet not overpowering and feel it is a perfect scent for cold winter months. Once popped into the water this bath melt floats across the surface slowly melting. As soon as the melt hits the water it’s glitter layer disperses into the water creating a beautiful shimmer and traveling a creamy colour to the melt. The bath melt continues to melt until it reaches its centre where it reveals a bright blue is core. This is released into the water adding a touch of colour. The Star Light Star Bright bath melt contains cocoa butter, Shea butter and coconut oil giving it a very creamy consistency. As the melt dissolves it creates a very moisturising bathing experience leaving the skin feeling hydrated and soft. Overall I love this product and really wish they would re release it as part of the 2016 Christmas range. I adore it’s look and its scent which I found really lingered on the skin and its moisturising properties makes the skin super soft but without feeling greasy. 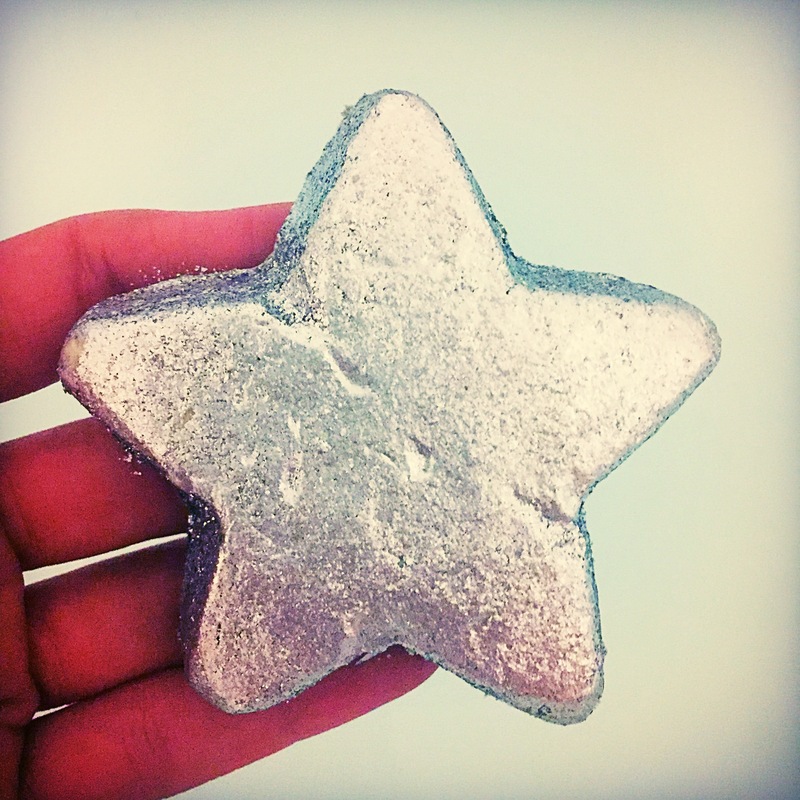 If you can I would really recommend trying to get you hand on one of the lush Star Light Star Bright bath melts. Ingredients – Cocoa Butter, Organic Shea Butter, Laureth 4, Sodium Bicarbonate, Citric Acid, Extra Virgin Coconut Oil, Perfume, Chinese Ginger Oil, Lavender Oil, Persian Lime Oil, Cream of Tartar, Sodium Laureth Sulfate, Lauryl Betaine, Titanium Dioxide, Colour 42090, Snowflake Lustre, Silver Lustre, Citral, Citronellol, Geraniol, Coumarin, Limonene, Linalool. Love this! Is it hard to clean the bath tub afterwards? I didn’t find it to bad, although it is a messy one and does require a little bit of scrubbing!